A wine club trip with Grape Escapes is a very popular holiday, and many of our groups visit a different region every year with their members. One of our most sought after destinations for wine club trips is Burgundy and we have posted below an itinerary which we previously arranged and which proved very enjoyable. You will be picked up from your central meeting point in England by your private chauffeured coach, which will accompany you throughout the trip. You will travel from the UK to France via the Eurotunnel, followed by an approximate six hour drive to the centre of Dijon. Upon your arrival in the enchanting city of Dijon, you will check into twin or double rooms at the 4* Hotel de la Poste. There will be time to settle in and freshen up, before enjoying the beautiful Burgundian evening. 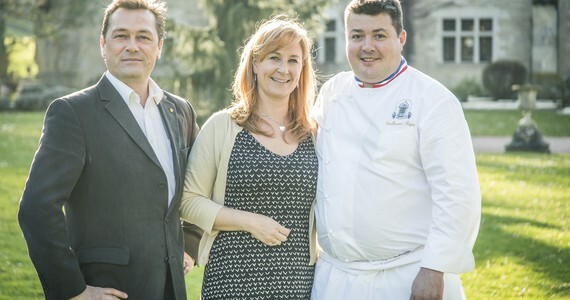 In the evening, a three course dinner will be served in the hotel, accompanied with a selection of their wines to welcome you to the region and start your trip in true Burgundian style. After breakfast, you will be picked up from your hotel by your coach and your English-speaking guide, who will accompany you throughout the day. The guide will be on hand to answer any of your questions and share all the facts and secrets about this fantastic wine region. 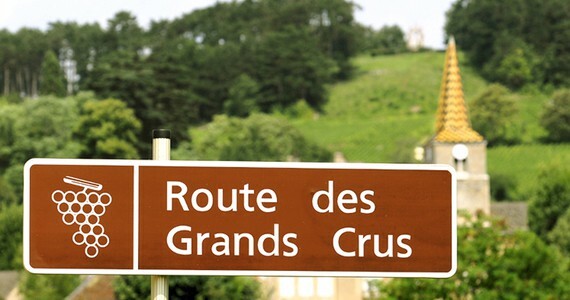 You will travel along the famous Route des Grands Crus, passing through such prominent wine villages as Chambolle-Musigny, Vougeot, Vosne-Romanée, Nuits-Saint-Georges, Gevrey Chambertin and Aloxe-Corton. 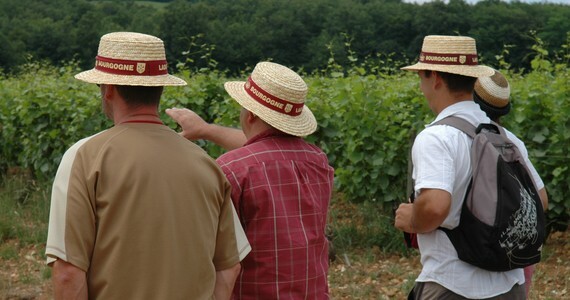 En route you may have the opportunity to see the famous vines of Romanée Conti and your guide will explain to you all about the terroirs, climate and different Grape varieties, that all contribute to and define Burgundy wines. 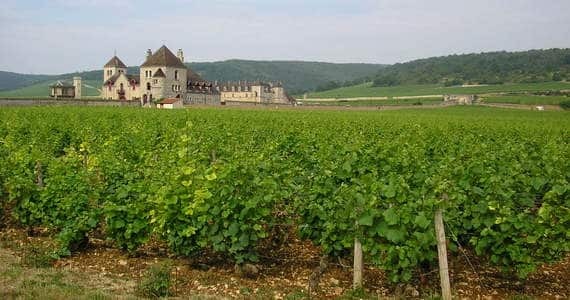 Your first stop will be in the highly-regarded winery village of Puligny-Montrachet. Here, you will be participate in a vineyard workshop at a local producer. You will enjoy an explanation of the fascinating wine-making process, from vine to bottle, including a tour amongst the vines, before descending into the cellars. 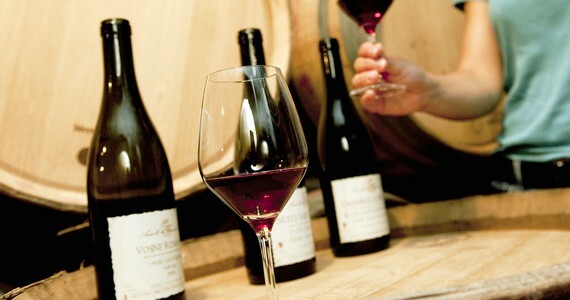 The visit will conclude with a three course tasting lunch, accompanied by five of the domaine’s wines. In the afternoon, you will have a second visit to a top quality wine estate, which straddles the Côte de Nuits and the Côte de Beaune. Here, you will have a tour and three tastings of their wines from across the premium villages of the Côte de Nuits and the Côte de Beaune. 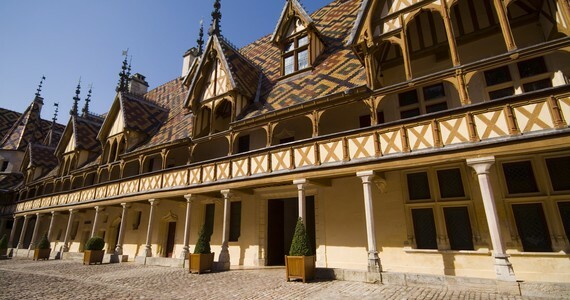 To conclude the day, you will be guided around all the cultural wonders that Beaune has to offer, including a suggested visit to the town’s famous Hospices de Beaune, which is now home to the region’s annual wine auctions. At the end of the day, you will be dropped back at your accommodation and the evening will be free for you to do as you please. In your travel pack you will find a comprehensive list of recommended restaurants. We would be pleased to reserve you a table at any of these for dinner, if required. After breakfast, you will again be picked up by your driver and English-speaking guide, who will accompany you throughout the day. In the morning, you will be driven to a winery in the famed village of Aloxe-Corton, the only appellation which boasts both Grand Crus in both red and white wines. Here, you will be welcomed as a guest at the authentic family-owned Domaine Comte Sénard, where you will enjoy a visit of the vineyard, Les Clos des Meix, as well as the 13th Century cellars. The visit will conclude with three tastings: one regional wine, one local wine and one Premier Cru. You will then visit a second prestigious producer in either Vosne-Romanée or Gevrey-Chambertin, for a full tour and tasting, in a comparative style to the wineries visited on the previous day. 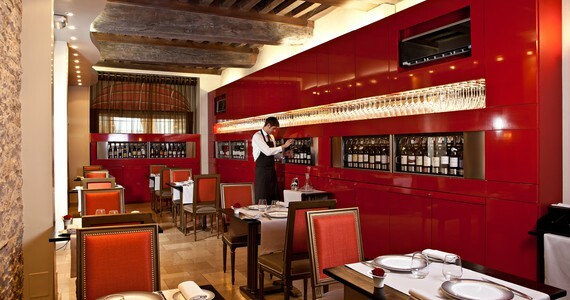 In the afternoon, there will then be some free-time for lunch in Beaune, the undisputed capital of Burgundy wines. 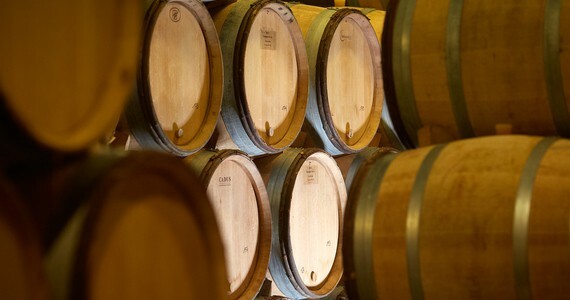 After lunch, you will visit an authentic Burgundian winery in centre of town. You will have the opportunity to explore a little of the many miles of cellars that stretch beneath the town, before six tastings of varied Burgundy wines. At the end of the day, you will be chauffeured back to your hotel, where the rest of the evening will again be free for you to do as you please. As always, we would be more than happy to reserve you a table at one of our recommended restaurants for dinner, if required. After a leisurely breakfast, you will commence your onward journey back to the UK. A guide price for this package is between £550 and £650 per person, based on a group of 40 people, sharing twin/double rooms. This price includes private chauffeured coach travel from the UK during 4 days, 3 nights’ bed and breakfast in 4* accommodation, a private guide who will accompany you throughout the 2 tour days, tours and tastings at 4 wineries and 1 wine merchant, 1 guided cultural visit, 1 lunch and 1 dinner. Again, thank you for all the hard work. I recognize that I probably was the most demanding client you have had to work with. Thanks for a great trip we shall never forget.